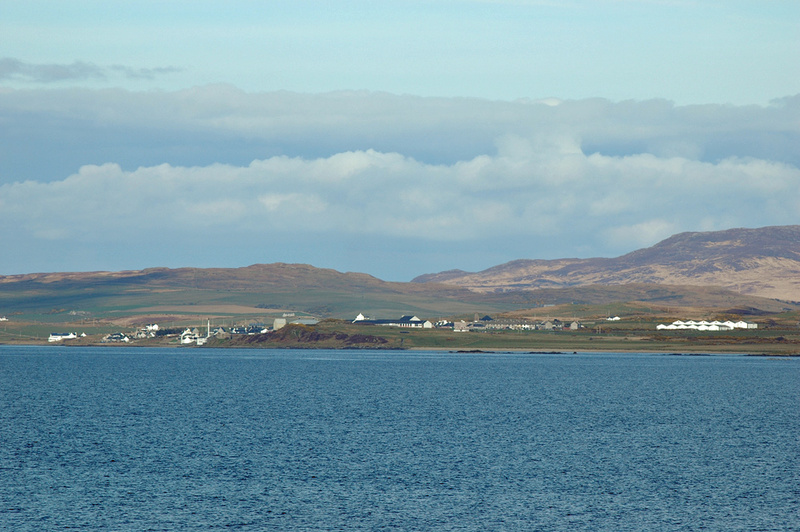 A view across Loch Indaal from Port Charlotte to Bowmore. The tall chimney belongs to Bowmore distillery, the white buildings on the right are the warehouses (in addition to the handful at the distillery). The Gaelic college on the left. Islay High School towards the centre.